Debra Brenegan grew up in the Milwaukee area and graduated with a B.A. in journalism from the University of Wisconsin-Madison. She worked as a journalist and taught at Milwaukee Area Technical College before beginning her graduate work. She received her M.A. and Ph.D. in English/Creative Writing from The University of Wisconsin-Milwaukee, where she also taught. She taught at Westminster College in Fulton, Missouri as an associate professor and served as department chair. She now teaches creative writing and literature at Mount Mary University in Milwaukee,Wisconsin, where she is an Associate Professor of English and the English Graduate Program Director. For her fiction, she has received a Ragdale residency, a Pushcart Prize nomination, and was a recent finalist for Glimmer Train’s Family Matters Short Story Contest, the Snake Nation Press’s Serena McDonald Kennedy Award for a short-story collection, the John Gardner Memorial Fiction Prize, The Cincinnati Review’s Schiff Prose Prize, and the Crab Creek Review Fiction Prize. Her work has appeared in Calyx, Tampa Review, Natural Bridge, The Laurel Review, RE:AL, The Southern Women’s Review, The Cimarron Review, Milwaukee Magazine, Phoebe, and other publications. 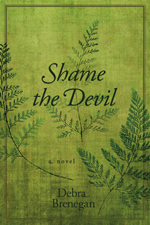 Debra Brenegan’s novel, Shame the Devil, a historical account of nineteenth-century American writer Fanny Fern (SUNY Press, Excelsior Editions), was named a finalist for Foreword Reviews 2011 Book of the Year Award for Historical Fiction. She is currently working on a contemporary novel, a short story collection, and another historical novel. Debra lives with her husband, Steve, in Milwaukee. When not teaching, writing, or spending time with family, Debra enjoys cooking, baking, reading, biking, golf and traveling. 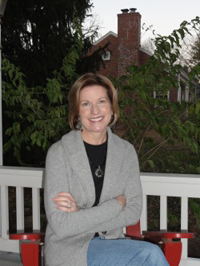 Debra is available for readings or to speak with your group about historical fiction, Fanny Fern, or writing. Download sample interview questions. Contact Debra. 12300 N. Mount Bigelow Rd.